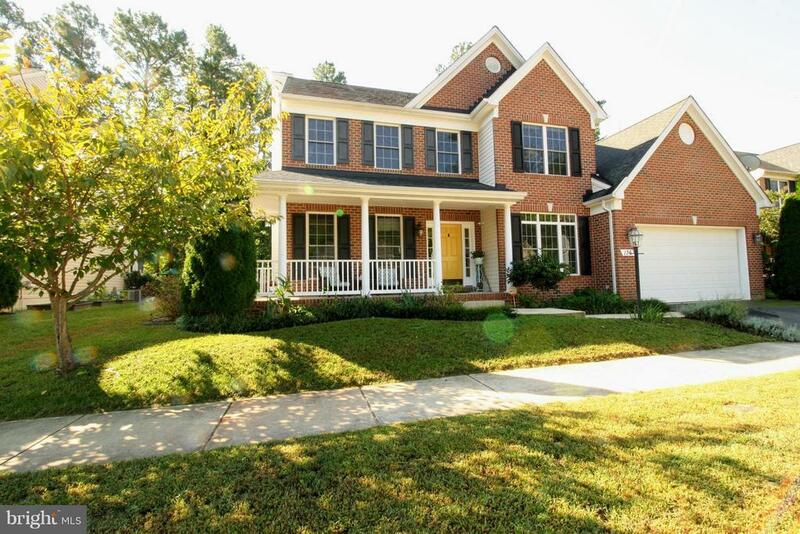 Youll love this bright and spacious 2-story home located just 10 minutes from the bridge! With over 2800sf, four bedrooms, 2.5 bathrooms, two car insulated garage, and plenty of storage, you will be comfortable here for years to come. As you enter by means of the deep wrap around porch, youre welcomed by gleaming wood floors and an open floor plan, capable of hosting large parties. The kitchen, overlooking the morning room, is truly the heart of this home with granite counters, SS appliances, tons of cabinet space, planning desk, dry bar, island with cook top, separate pantry, and breakfast bar. Wow! Downstairs youll also find a formal dining room with tray ceiling and wainscoting, living room or flex use space, family room with cozy wood-burning fireplace, trendy half bath, and separate laundry room. Dual staircase leads to the split bedroom plan upstairs. French doors welcome you to your spacious master suite which features a tray ceiling, two walk-in closets, and a large linen closet. The spa like master bath gives everyone the space they need with a long vanity with two sinks, walk-in tile shower, deep two person soaking tub and separate water closet. The guest bedrooms are nicely sized too and share the hall bathroom with two separate vanities, keeping everyone happy! When warm weather beckons you, take to the outdoors on the large privacy patio with room for table, grill, and full seating group. The deep backyard allows for plenty of outdoor play and the paver lined gardens will encourage your inner green thumb. Not to be overlooked, this home also features a finished/conditioned crawl space with interior access for endless storage and easy access to main systems. Dual zone heat pumps too. This home is priced to sell. Set up your showing today and take the first step to making this home yours!